What do you usually look forward to the most when you get home? Other than filling your stomach with a good meal and a hot shower to freshen up, a good massage is what many of us yearn for. 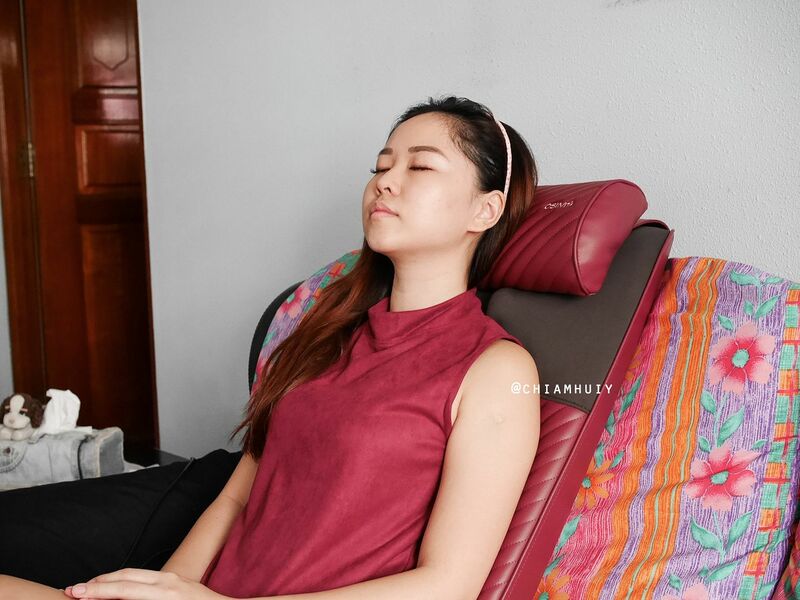 In Singapore, going for a massage on a regular basis is quite far-fetched, since we usually lack the time and money to. 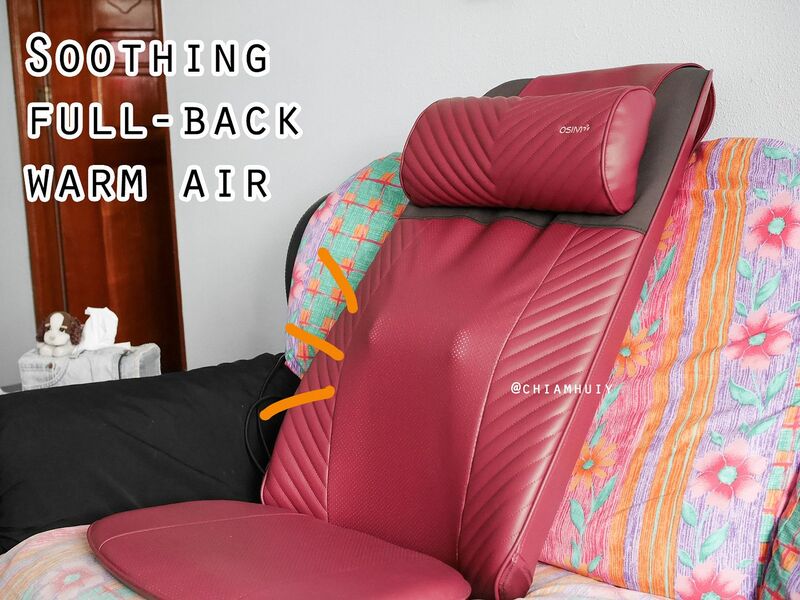 That is why I always think that a portable back massager at home is the next best alternative - not too expensive as compared to a massage chair, and easy to use anywhere anytime! 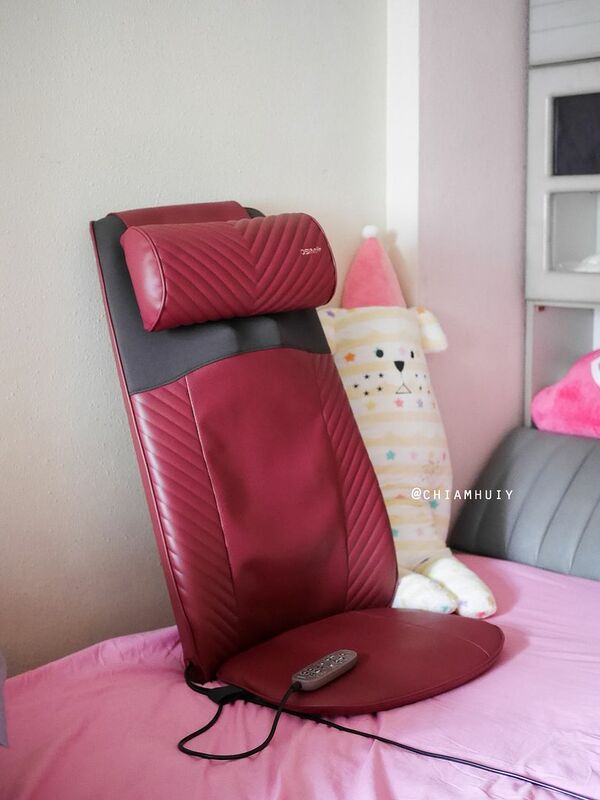 And yes, that's me using OSIM uJolly Full Back Massager (and clearly enjoying it haha). 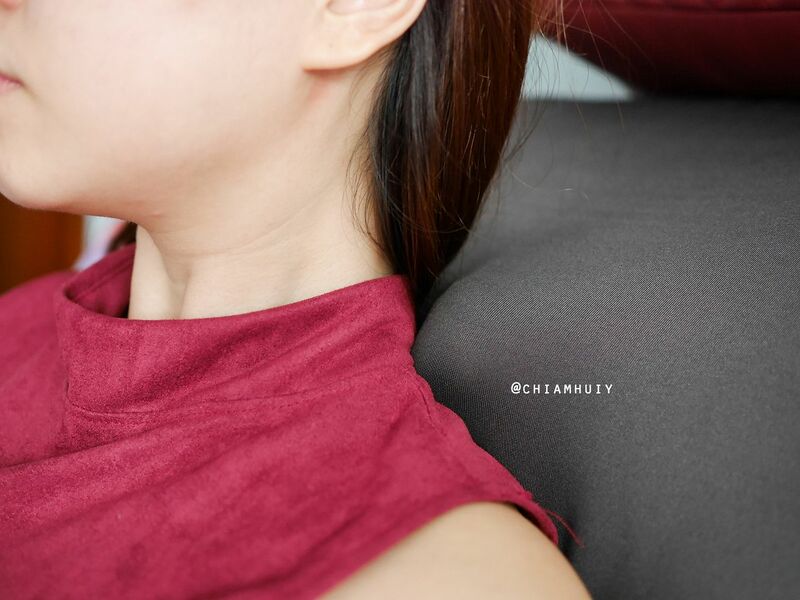 Like the name suggests, the OSIM uJolly Full Back Massager caters to main areas like your neck, shoulders and the back. 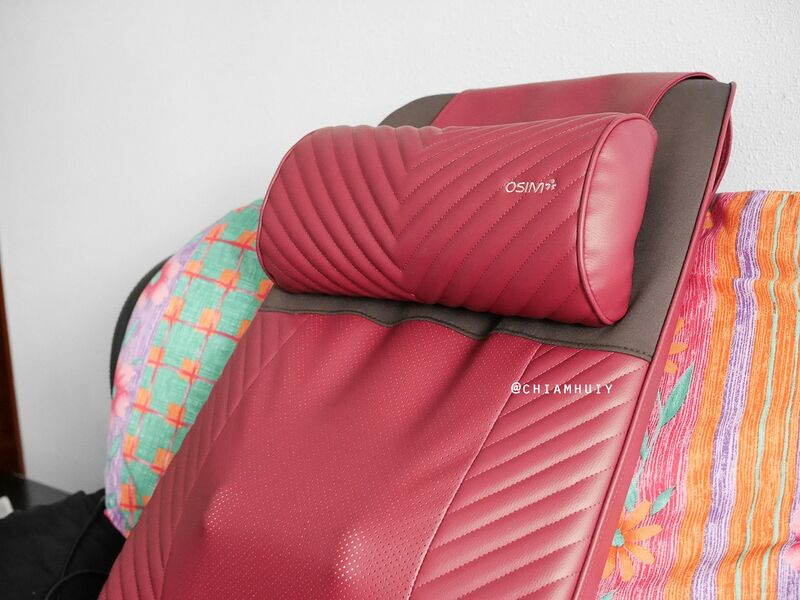 The area of massage stems from the shoulders and right down to the lower back, suiting people from different walks of life, including housewives, working adults/ students (who face the computer very often), workers who carry heavy loads all the time and of course, drivers. These people are those that are very prone to pains and aches around the neck/shoulder/back areas. 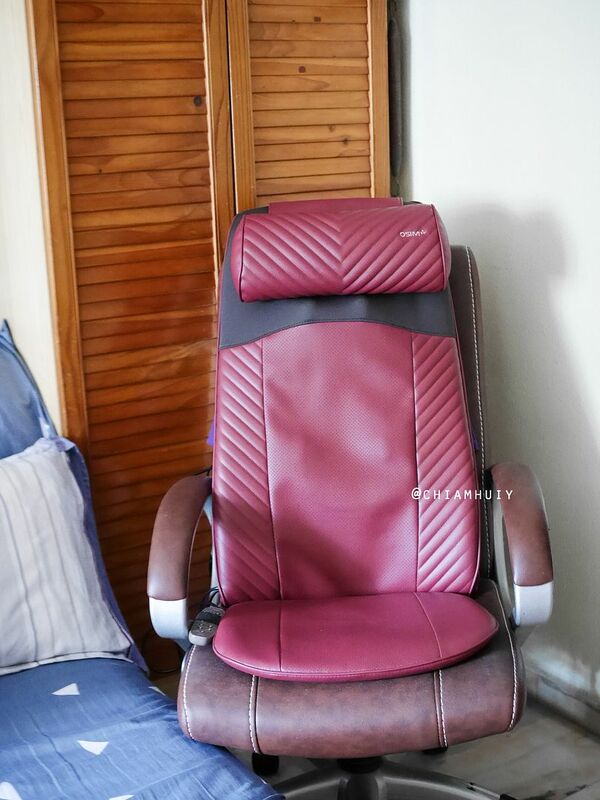 Why do you need a back massager? 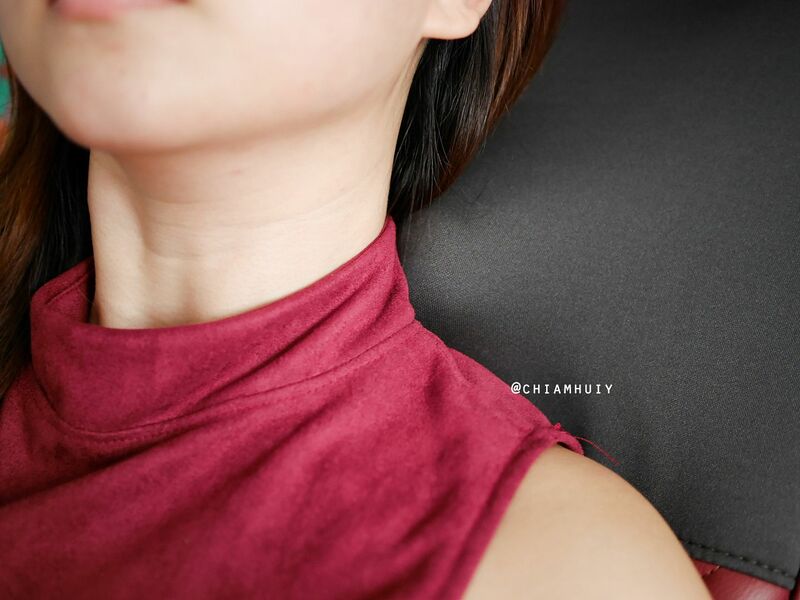 Like myself, I swear I have the worst neck pain issue for someone my age. At just only mid-twenties, I suffer from very tense shoulders and severe neck pains all the time, to the extent I get headaches from it. It's very common and it's not exactly an illness - it's just a result of constant usage of computers and mobile phones. The constant looking down actions takes a toll on my neck and shoulders, causing the muscles to be very tense. 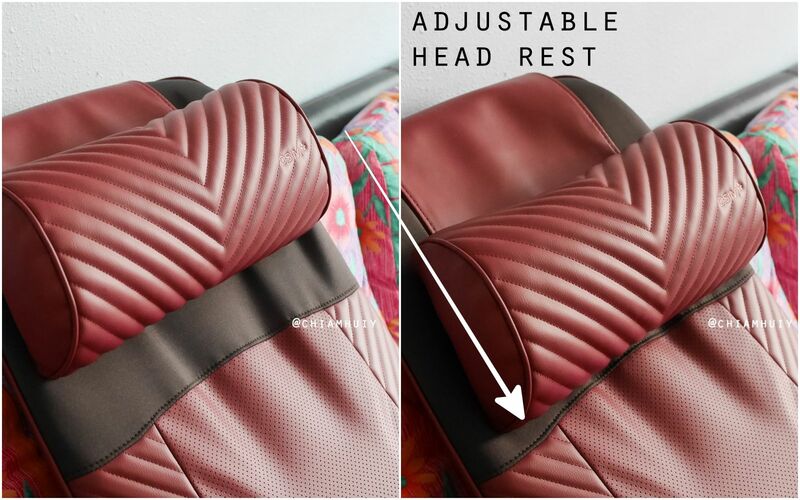 That is why, the OSIM uJolly Full Back Massager is a huge bonus to me. I'm not kidding. 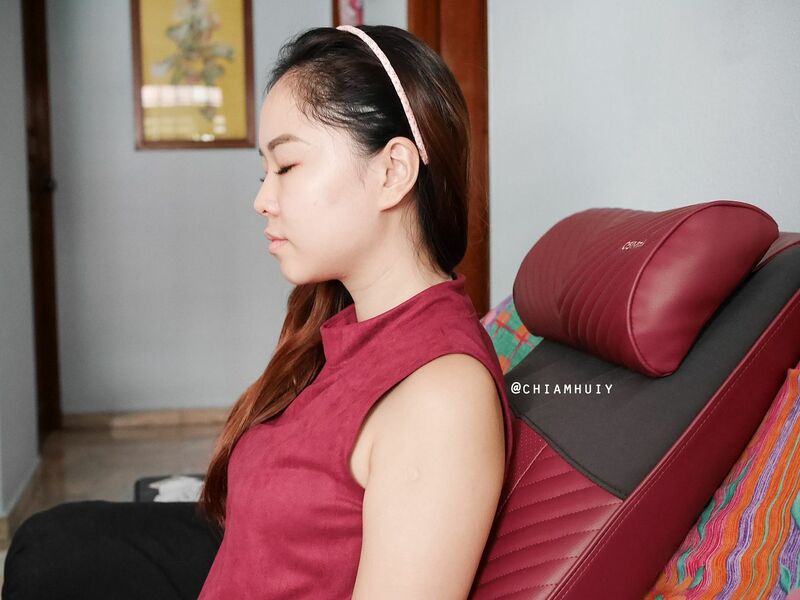 Ask yourself, how many times can you afford massages in Singapore? 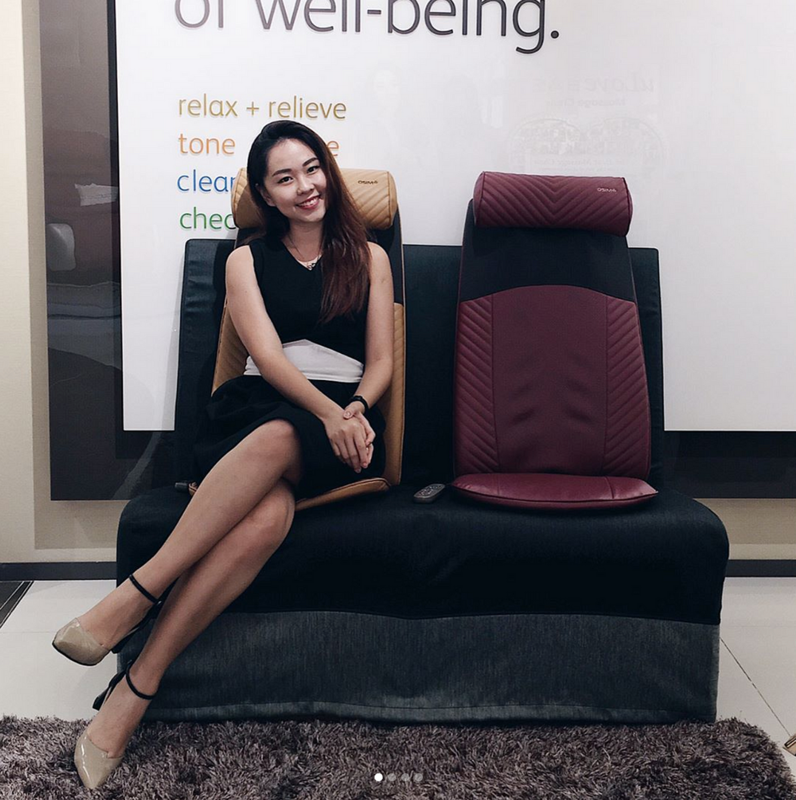 When we think of massage, the first two options we can think of are Bangkok massage or JB massage - we usually don't consider going for a massage in Singapore (unless for special occasions or once in a while treat), because massage in Singapore can be quite pricey. That explains why, a back massager at home is perfect because you can use it every single day! 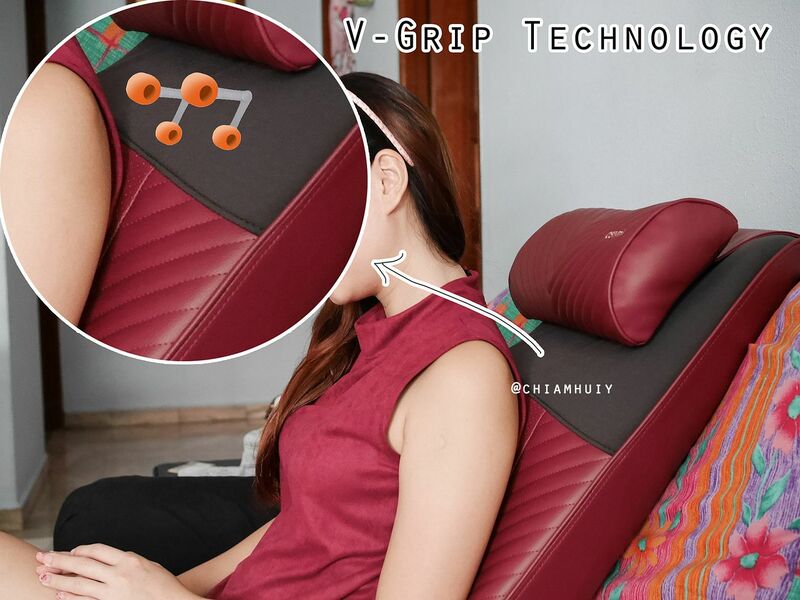 The V-Grip Technology allows the grip to brilliantly works along the contours of your body, providing precise and human-like massage on your shoulders and lumbar area. If felt as though a pair of human hands are doing the massage for you. The good thing about warm air is that it relaxes the tense muscles while the massaging movements take place. Warm sensation also aids blood circulation, while relieving back aches and pain by loosening stiff muscles. Besides, the warm air definitely prepares one for sleep! 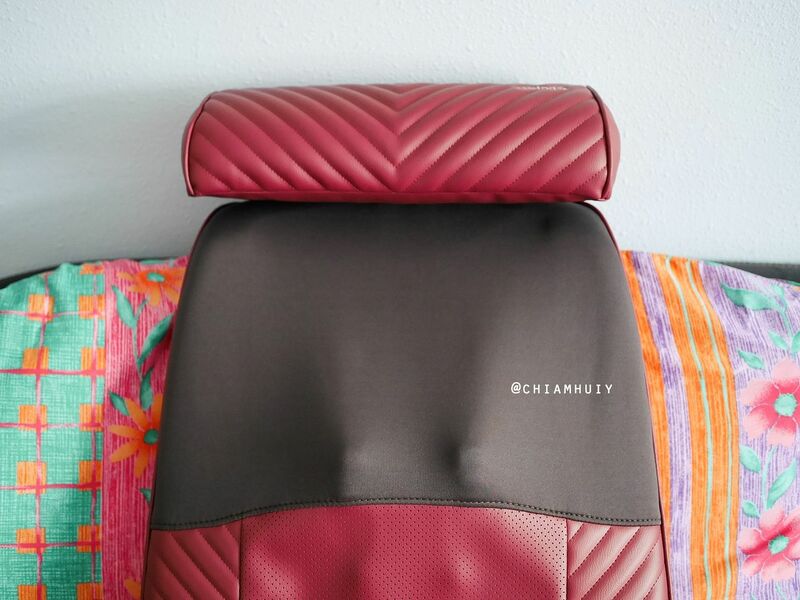 If you just want to focus the massage on your lower back (lumbar area), you can adjust the head rest according to your height or preference. In fact, you can also choose to target specific areas by pressing the up and down button. The back massage experience is incredible. 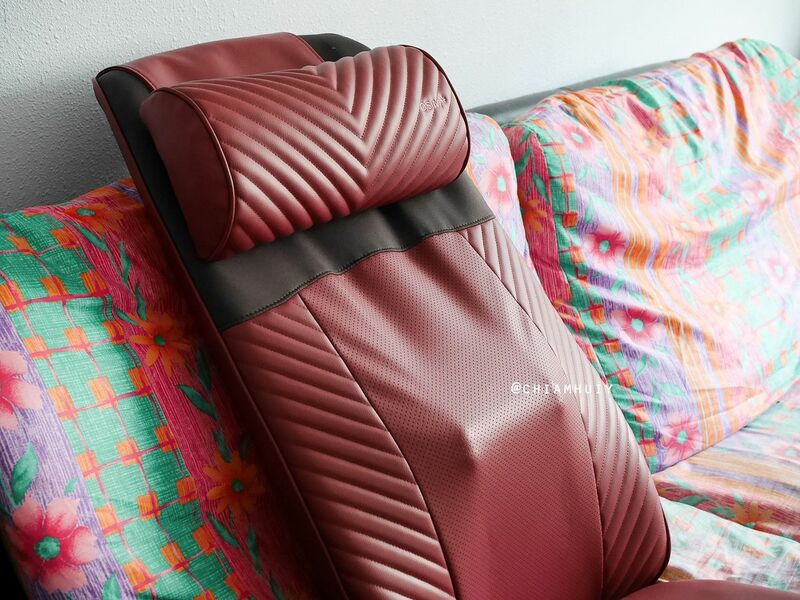 For a back massage placed at home, you probably wouldn't expect the massage to be this good, but it sure is. The v-grip massage technique really does feel like a pair of hands doing the massage! 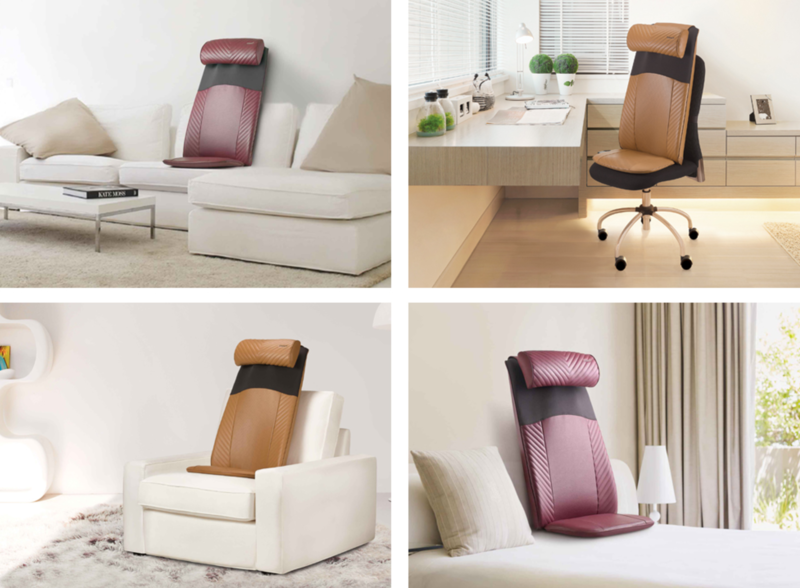 If you don't believe me, you are welcome to try it out at the OSIM stores. On another note, my mum did commented that the grip can be a little painful for her. One way to lower the intensity of the grip is to simply 'wear' a shirt over the massager so that you reduce the direct impact of the grip on your muscles. 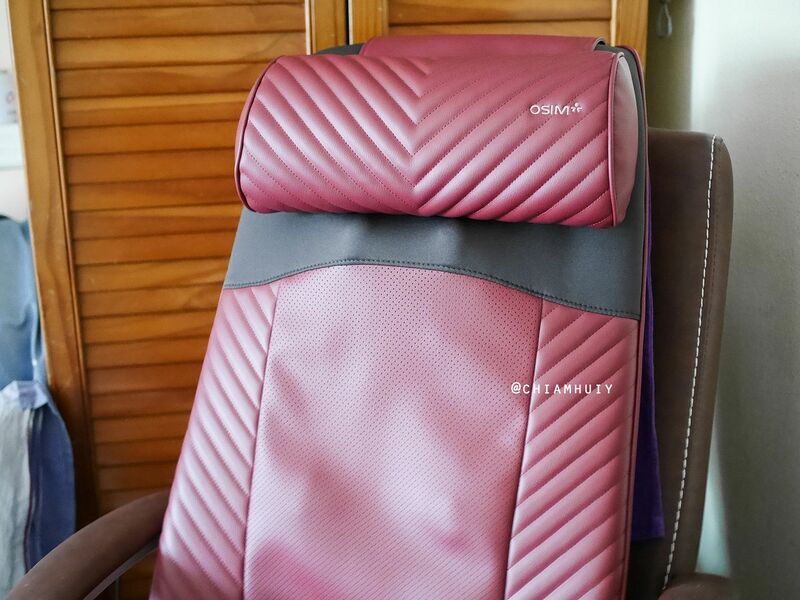 The OSIM uJolly Full Back Massager is extremely portable! Because it's so light and portable, you can literally use it anywhere you like. On an arm chair next to your bed, or in front of your desk. Or any where else as long as there's a wall/back support! 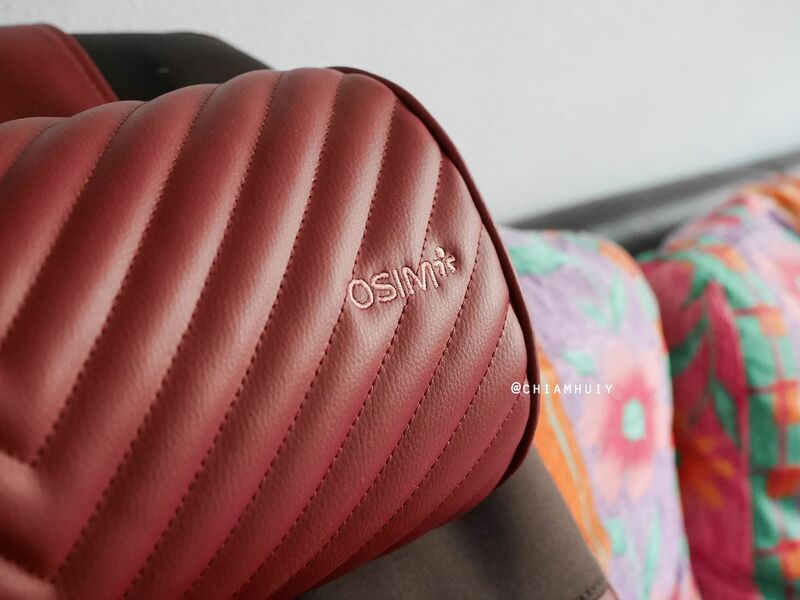 OSIM uJolly Full Back Massager is only retailing at S$ 499.00. 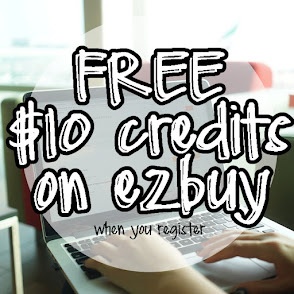 Considering the long term effects and many used of it, plus it's not just you alone who can benefit from this product (because all your other family members are welcome to use it as well), this is surely a good buy! This Mother's Day, give your mum a good pampering gift with this, especially when there's a $70 discount when you show the #mediacorp #ILoveYouMum pledge ring (till 14 may)! 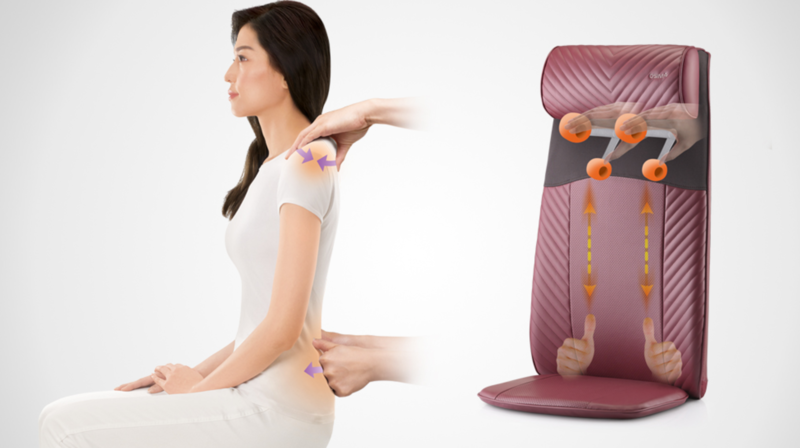 For more on OSIM uJolly Full Back Massager, visit http://sg.osim.com/ujolly-upper-body-massager.html.